LAIKA Entertainment LLC is an Oregon-based American stop-motion animation studio who, following their recent Academy Award win for Scientific and Technical Achievements in 3D printing, continues to innovate its productions through the latest technologies. Working together with Stratasys has allowed LAIKA to develop character models with extremely intricate detailing that could not be produced using any other method at the speed and cost-effectiveness that rapid prototyping offers the studio. The detail in the models is extremely important because of the animated method that LAIKAs studio utilises. Stop-motion involves the manipulation of physical models in small increments between photographed frames so that when the individual frames are collated into a series and played they then create the illusion that the model is moving. This method of animation is most popular in LAIKAs previous productions such as Coraline (2009), Paranorman (2012), and The Boxtrolls (2014). This allows LAIKA to modernise the relatively old technique of stop-motion that was originally introduced in the late 19th century. 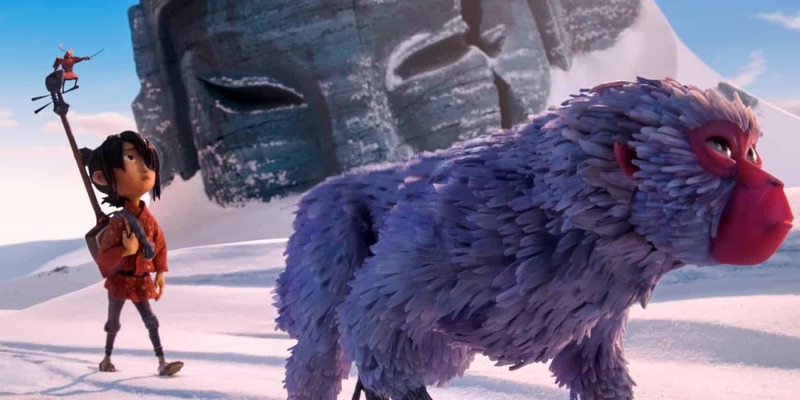 The studios most recent production, Kubo and the Two Strings, combines digital printing and puppets to create a cinematic explosion of detailed imagery. Set to be released in UK cinemas from the 9th September 2016, the buzz around this epic adventure is growing louder. The story tells of young Kubo who has lost his family, discovering his magical abilities he realises the stories he has told to fellow villagers are coming true and must defeat them to fulfil his destiny. With an incredible all-star cast featuring the voices of Game of Thrones™ Art Parkinson, Academy Award winners Charlize Theron and Matthew McConaughey, as well as Ralph Fiennes as the voice of the 3D printed, giant Moonbeast. LAIKAs team typically works for years to bring the animation to life through characters, sceneries and props. With a team of over 65 design and craftspeople working to produce every single model, set piece and character seen in the film before beginning the filming process, LAIKA is always looking for ways to reduce time and costs in the pre-production and development stage. Stratasys 3D printing systems offer a faultless solution to this problem that is rapid, high-quality, durable and cost-effective, delivering even more than LAIKA asked for. Due to the time it takes to design, develop and produce the film, eliminating crafting and creation times in the creation phase prior to filming is extremely beneficial further down the line. However in this case using new technology introduced an even vaster scale of benefits. With Stratasys 3D printing technology the designers were able to create 3-foot villain Moonbeast who is composed of 850 external and 250 internal printed structures, making him the very first fully 3D printed stop-motion character. They were also able to harness rapid-prototyping face replacement printing, developing over 66,000 printed combinations for, main character, Kubos face offering over 22 million facial expression possibilities, over 20 million more than their previous high of 1.5 million in their previous blockbuster release, Coraline. Developments in 3D printing technology continue to provide solutions in every industry, even film.